Tartar sauce for fish is one of the most common condiments often served with many of the breaded deep fried freshwater fish dishes cooked in most areas of the world. However, most of the tartar sauces commercially manufactured for our fish seem to be all too similar in taste, right? So why not throw together your own tarter sauce? It's quite simple and fun, and fairs quite nicely on your budget. Many homemade tartar sauces taste just as good. Actually, they should taste better because of the fresh ingredients and the pride of making them. Just as well, the variety of ingredients you can incorporate to get the desired flavors that you would want in a tartar sauce. 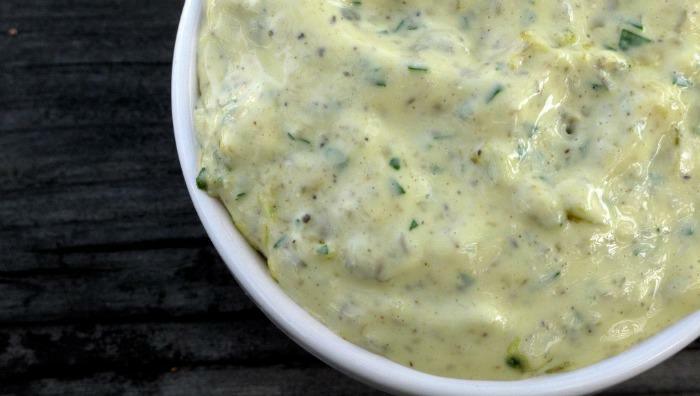 So, we have compiled a few of favorite tartar sauce recipes here for you to whip up in your own kitchen. Use them as is, or experiment with different ingredients to acquire the best results, and enjoy. In a food processor, combine the egg yolks, dijon mustard, lemon juice, salt and pepper. Process just until the eggs become fluffy. Pour in the oil and process until the oil is incorporated. Tip: It's better if your food processor or blender has a pour spout so that you can slowly feed the oil into the mixture while blending. Note that you can also whisk this together by hand in a mixing bowl as well. You will just need to be able to whisk at a slightly quick speed. Finely chop 1 to 2 tablespoon each of the capers, dill pickle and either a yellow or red onion. Combine and mix the ingredients into the mayonnaise and serve. Combine all of the ingredients into a bowl and fold together until well mixed. Combine all of the ingredients into a bowl and mix until well blended. Want to kick it up a notch and add a little spice? Simply add and mix in chopped jalepeño peppers to either a store bought tarter sauce or into your favorite homemade recipe. Still looking for more heat? Additionally, you could add habanero (sauce) or other spicier hot sauces or peppers. Combine and mix all of the ingredients in a small bowl and serve.